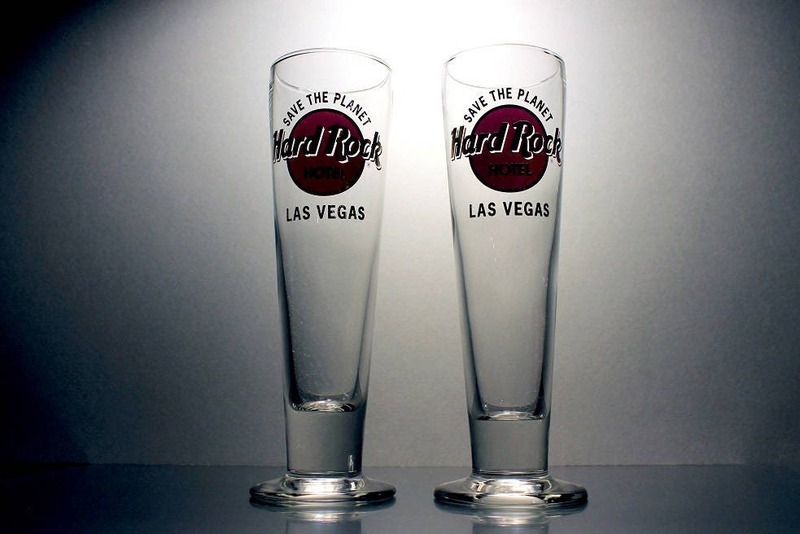 A pair of pilsner glasses Hard Rock Hotel, Las Vegas, Save the Planet. 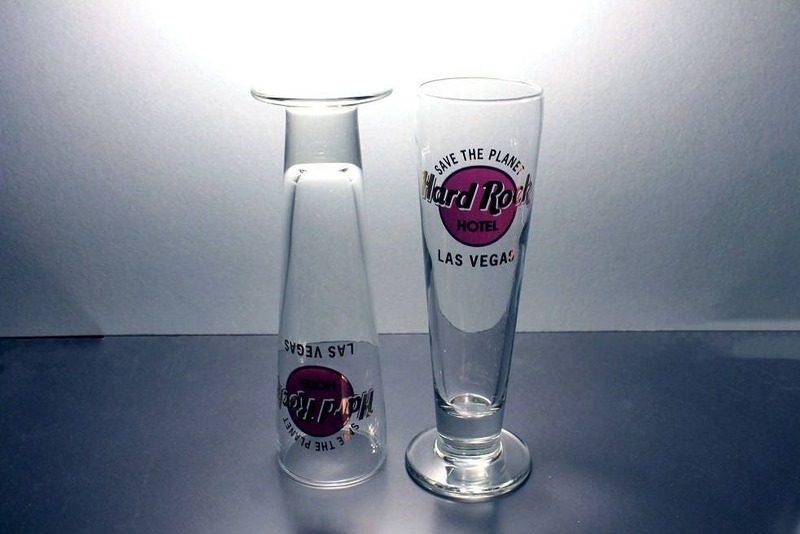 This barware would be perfect for a home bar or man cave. 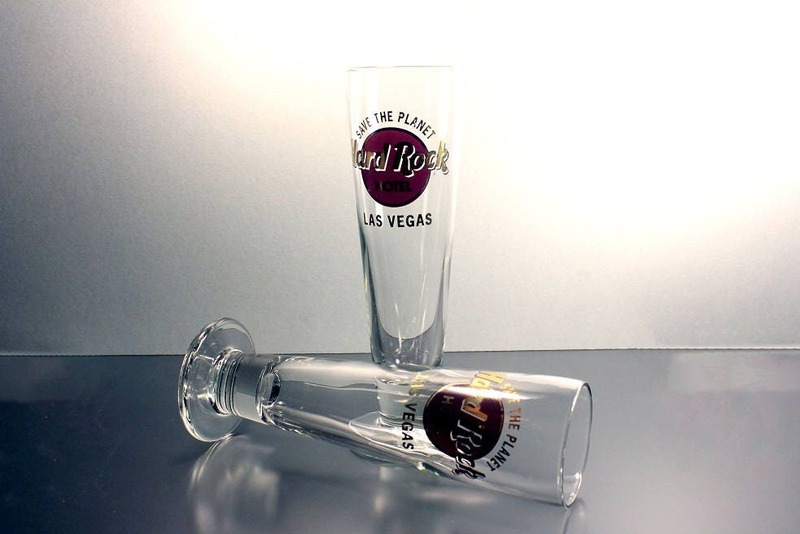 The writing on the glasses is in gold against a dark maroon circle. 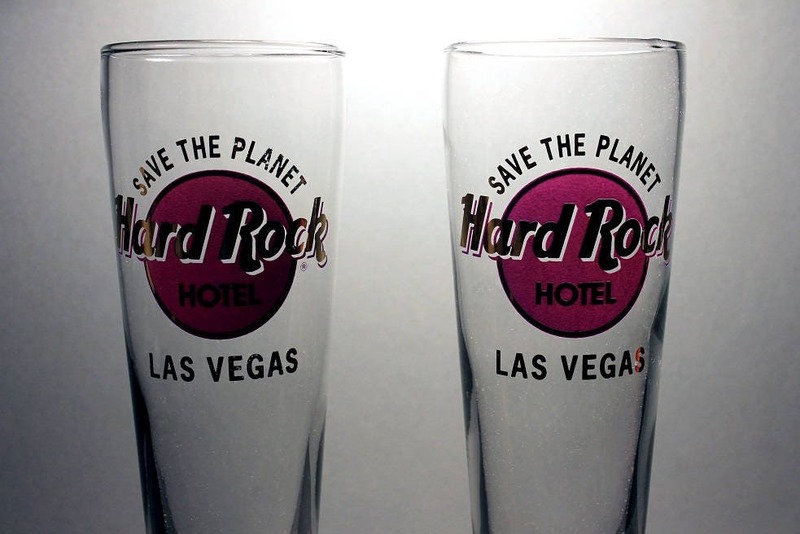 These glasses are in excellent condition. There are no chips or cracks. The design is clean and scratch free. 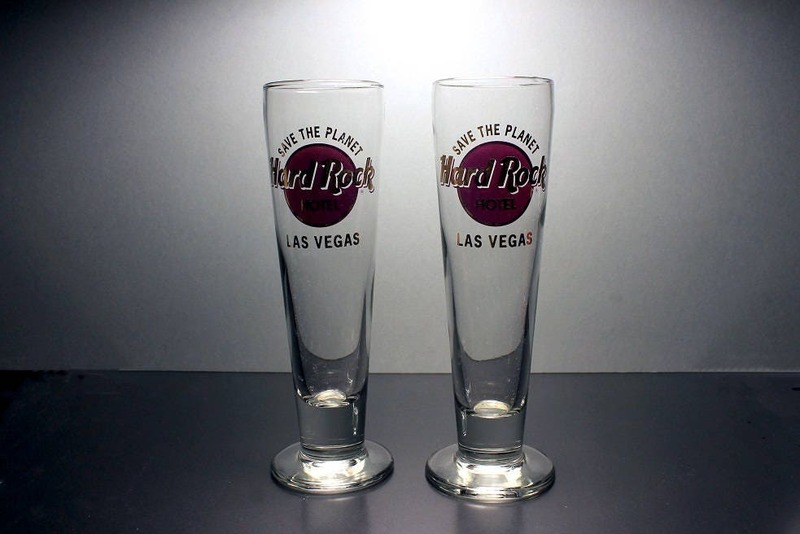 These would make a great addition to your home bar. They would be a great gift for a collector.